Wedding season is almost here, which means it’s the season for bachelorette parties and bridal showers! Who doesn’t love these fun events with the girls? Showering the bride, although fun, can also be a lot of work, so we want to help you come up with what sometimes is the hardest part – the theme! Once you nail down this jumping off point, everything else will fall into place. 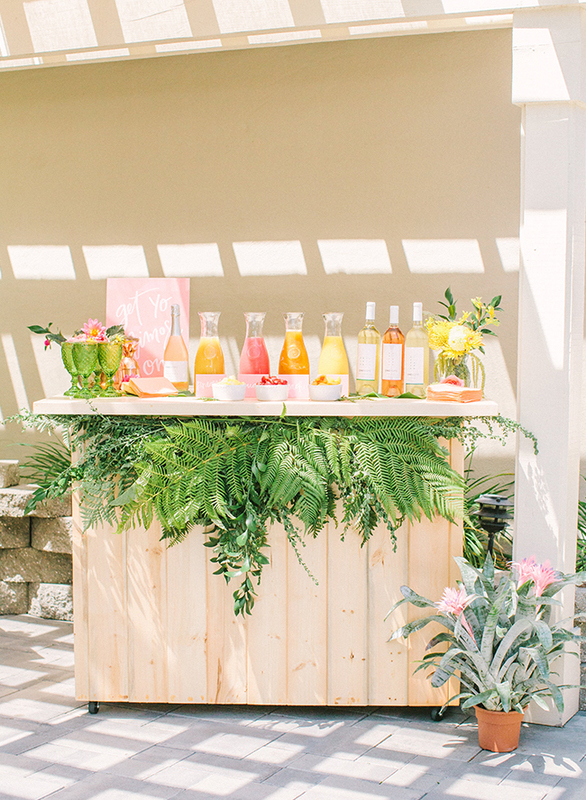 Here are 5 no-fail fun bridal shower themes for whatever the bride to-be’s personality. Trust us, she’ll love any one of them! 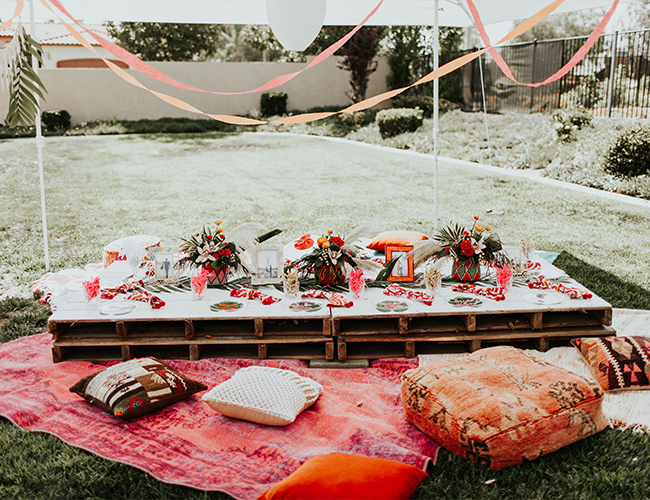 For the globe trotter or boho bride, nothing would suit her better than this Bright Moroccan Bridal Shower! We love the idea of creating a posh tent in the backyard with rugs, floor pillows and bright colors. With plenty of plants and patterns, you can’t go wrong! 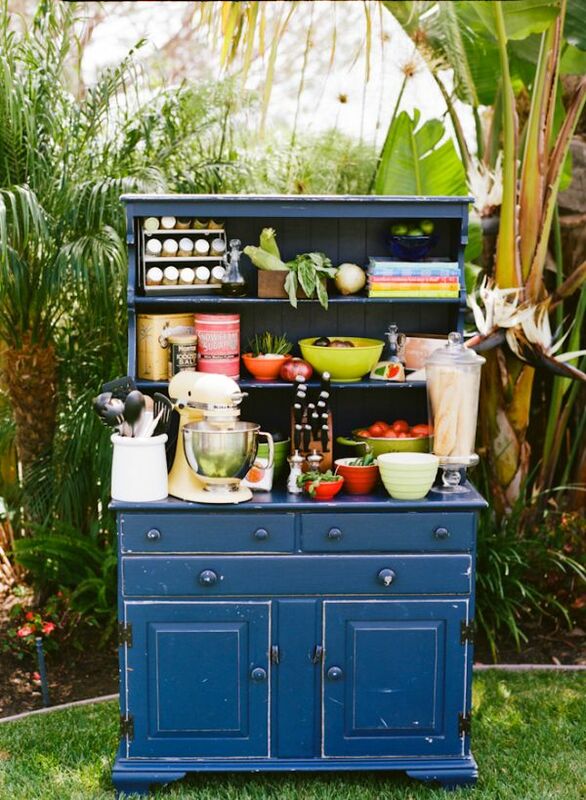 Most brides register for a ton of kitchen items, so what better than a Cooking Themed Bridal Shower to gift her these essentials. Include activities like a guac’ competition with teams and encourage guests to bring their favorite recipes for the new wife! Nothing says spring quite like an Ombre Tangering Brunch Bridal Shower! You couldn’t ask for a theme with easier decor – just pick your citrus (grapefruit, oranges, lemons, you name it!) and create a runner, menu, and stationery around the fruit. We think it’s super cute! It’s no surprise that since this trend has taken over homes and weddings, it’s also seeped into showers. 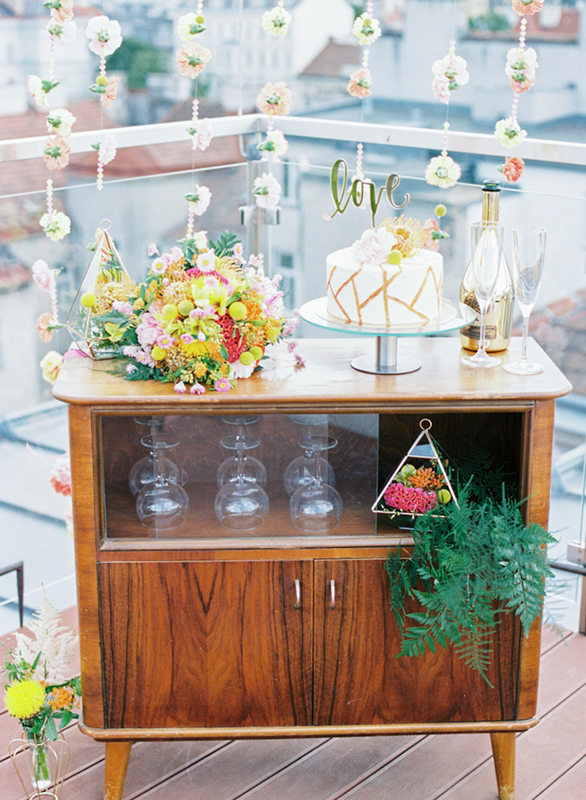 This pretty Rooftop Floral Bridal Shower does it so well thanks to mid-century furniture they turned into a bar and table and colors that are so in-theme. We hope the tropical trend never goes out of style, because boy! does it make for a fun bridal shower! 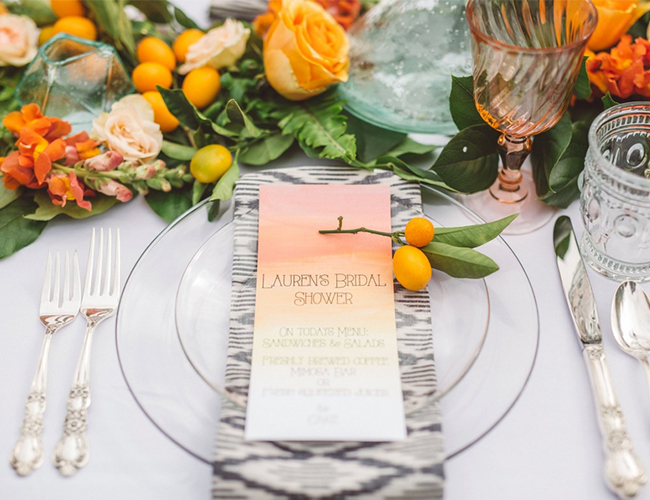 This Pink & Yellow Tropical Bridal Shower Brunch proves it to be true! Who doesn’t love coconuts, pineapples – especially when incorporated into cocktails and cute foods? Plus, considering this theme is quite popular, you’ll be able to find tableware, signage, and games to match, no problem! Have you been or thrown any themed bridal showers? What’s your favorite? Ooh the cooking idea is so fun – Never thoughtof that before! !